Today the Caterpillar kids had their Rhythmic lesson! The kids stood in a circle and sang a song! Then they had the scarf and moved around according to the music! Next, they played some games with the tambourines. 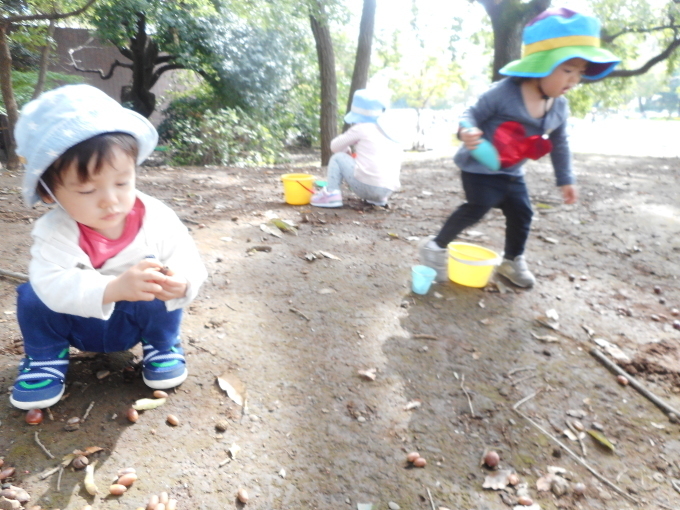 They pretended to collect some acorns and put them on their tambourines! It was so much fun! Meanwhile the Butterfly kids had their Traditional Japanese Play session! The kids got to play the pianica again this time! They practiced playing by associating the keyboards with colours. 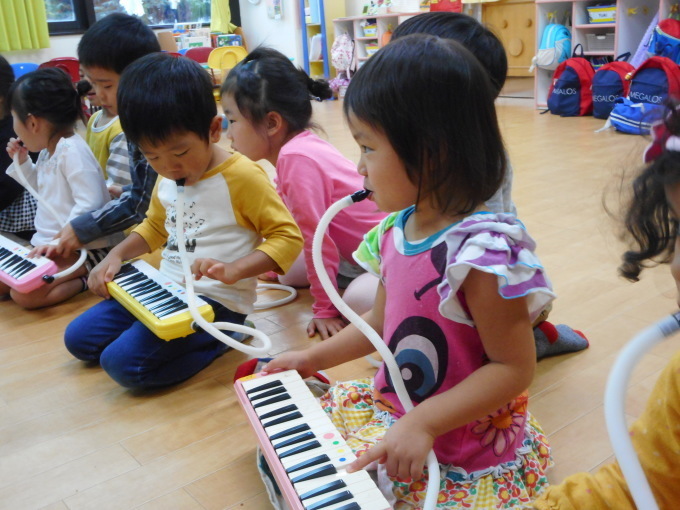 The kids managed to play Twinkle Twinkle Little Star and the Frog Song.